Rita & Ania with a backdrop of Slovakian mountains. 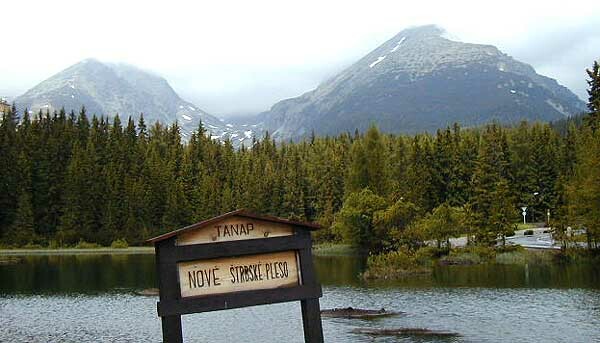 Officially the Slovak Republic, Slovakia is located south of Poland, on the other side of the Tatry Mountains. Staszek drove Ania, Rita, & I on a sightseeing day trip into Slovakia. 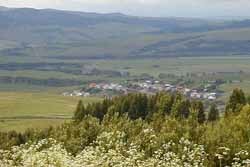 We drove west along the southern edge of the Tatry Mountains and enjoyed the scenery. 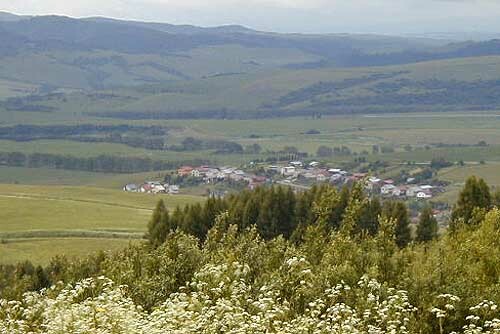 We passed through a succession of small villages that dotted a lush green landscape, stopping at a grocery store in Tatrzanska Lomnica to take advantage of Slovakia's low food prices. We stopped at Strebskie Pleso near a lake, and walked a short way into the mountains, then turned around and headed back to Poland, stopping in Poprad to enjoy a Slovakian lunch. Lake & mountain scene near Strebskie Pleso.